More Website Templates @ Love is all July 30, 2012! "There is a real world of beauty, love, harmony peace. What Reality are you relating to?" The Experience of A New Reality. Always warm, filled with laughter, humor, music, joy and beauty, Robert Adams three decades of Talks were never held in complete silence, but in a celebration of "The Supreme Omnipresent Love in Brotherhood and Compassion", emphasizing three sections: The Discourse, Robert Adams Music and Chant, and Introductions of the Meditations and Practices including The I AM Meditation, Chant, Inquiry, and the Assertations. "Say these every morning the moment you wake up. I Am Bright and Shining Like the Sun." This Three CD Experience enfolds one in the complete experience of Robert Adams. The Chants performed live for over fourteen years for Home Practice, The Daily Meditations and Assertations and Discourse, the Heart of the Master. THE DAILY METHODS AND MEDITATIONS OF ROBERT ADAMS HOW TO EXPERIENCE A NEW REALITY"
You must do something spiritual everyday. I call you to do these things everyday. You will live in a New Reality. Your entire life will be transformed. You will have a Direct Experience of Bliss, The Supreme, Peace, Love, Truth that does not change. Life will become bright." "You will feel a brotherhood with all of humanity." A new life. A new consciousness. A new experience of ultimate awareness in your life. "It is all up to you. It is time. As I have said, I can show you the vein of gold, but you have to dig for it. This is the earthly predicament. Yet it is a beautiful predicament. For you have the Freedom to transform your life. At any moment. Won't you begin now? What Reality is this? The Ultimate Reality; THAT which is Unchanging, Eternal, All-Pervading Omniscient Love. That love which does not change. That supernal love that cannot be affected by the temporal incoming tides of your karmic predicaments, conditions in this world, what has or has not happened to you, what will or will not happen to you. Pure Bliss Consciousness. Pure Happiness. The Supreme Perfection. The only Reality there is. The only Reality there ever was and there ever will be. As the endless blue sky remains in vast magnificence above us regardless of the events occurring on earth- Bright and Shining Reality remains ever the same, filling 'you' with indescribable love, joy, delight, completion. You gently realize that YOU are this Reality. YOU were always this Reality. And so is everyone else. A New Reality "Dear Dr. Warner and Akasha, this is a stellar long awaited beauty! Living, breathing, the complete true experience of Robert Adams heart. Here at last.."
Madeline and Fred Silverstein NY. The 3 CD Set compliments the New Reality Book now released in 2015, relaying The New Reality Discourses. "There is a world of pure Love." ...Amazing. A living retreat into the classes with Robert where the joy and tenderness always is accompanied by the transmissions of this true seer...Robert. "...in the den of current coat tail self invented philosophers, this brings back the artistry and refinement of this fine gentleman and wise one...I have turned off all of my technical hours of reaching out... to reach into this 'fathomless bliss' with this selection. Speechless. Thank you God for this nectar...."
Marlene Tabitha Johnston Los Angeles CA. Always warm, filled with laughter, humor, music, joy, bubble blowing and beauty, Robert Adams three decades of Talks were never held in complete silence, but in a celebration of.. The Supreme Omnipresent Love in Brotherhood& Compassion", emphasizing three sections: The Discourse, Robert Adams Music and Chant, and Introductions of the Meditations and Practices. A Beautiful Pure Form Experience of the Daily Practices of The Teaching of Robert Adams in crystal clarity, power. "You will experience the Bliss of God everyday by doing these things. 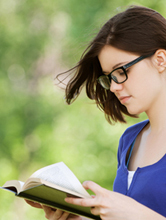 ""You want the mystical experience of the saints and sages. But they have done their homework. These practices bring joy. They transform everything. They bring holiness. But you must make the effort. Bliss ensues." Included is his' I AM He' meditations, The I AM Meditations, The illumined depth of The Fourth Dimension, along with a illustrious introduction to many multi-layered rare practices and meditations of Robert Adams origin, complimenting the in-depth complete immersion in the ever expanding continuous method of compassionate Inquiry. This richly profuse collection of jewels of in depth personal practices provides an unusual offering of complete life guidance. The Silence is simply an interior..Realization.Happiness." Robert Adams hundreds of vintage music recordings in collection are shared in the Candlelight-Video/Reality-Series. "There is a Reality of love, peace, happiness, bliss. Which Reality are you identifying with?" Robert Enjoy the original experience of the full immersion in The Teaching of Robert Adams as he transmits the exquisite experience of his vibrant, joyful gathering, 'satsang' that include The Discourse, Immersion in the Bliss of his selected Chants, his own original integrated I AM Meditation. Included in this CD set is a tenderly renewing, pure hearted soothing feminine Pondering of The Jewels of Truth Roberts most favorite quotes for daily lovely and joyful Meditations suitable for midday breaks, spiritual week- ends, bedtime attunement, stress dissolvement, inner renewal in the golden power of The Sage, beyond time and space. This offering includes a rich three CD set including the full spectrum of the Robert Adams Experience in tender, unique Discourse and Practices as he transmits his rare Message of Illumination, with love, music, meditation in the ancient tradition of full sensory focused shift into Divine Omniscience. A full sensory immersion in The Master,his chosen music, meditation and chant in ecstatic upliftment into God.
" A New Reality". The New Reality Discourses of Robert Adams, The Methods, The Message, The Bliss Experience. The Soft cover book new re-release available now. A rare and powerful personal guidance into the original personally conveyed deep meditations and practices never before released, as Robert Adams directed release for the year 2015. Harmoniously complimented by his most poetic and lovely Dialogues on Grace, Karma and the practicalities of daily life, his Dialogues are laced with delightful humor. 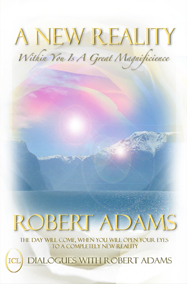 The heart of Robert Adams in full power and completion emphasizing a broad offering of powerful daily practices with tender patience, guidance and supernal extemporaneous transmissions in transparent clarity. 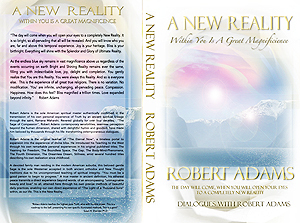 The original Teaching of the expanding "Now" eternal reality and direct bliss experience in the complete truth of classic spiritual illumination and spiritual integrity, honored in The Teaching of Robert Adams throughout the East and West in rare reverence. "You will feel a brotherhood with all of humanity." A new life. A new consciousness. A new experience of ultimate awareness in your life. "It is all up to you. It is time. As I have said, I can show you the vein of gold, but you have to dig for it. This is the earthly predicament. Yet it is a beautiful predicament. For you have the Freedom to transform your life. At any moment. Won’t you begin now? What Reality is this? The Ultimate Reality; THAT which is Unchanging, Eternal, All-Pervading Omniscient Love. That love which does not change. That supernal love that cannot be affected by the temporal incoming tides of your karmic predicaments, conditions in this world, what has or has not happened to you, what will or will not happen to you. Pure Bliss Consciousness. Pure Happiness. The Supreme Perfection. The only Reality there is. The only Reality there ever was and there ever will be. As the endless blue sky remains in vast magnificence above us regardless of the events occurring on earth- Bright and Shining Reality remains ever the same, filling ‘you’ with indescribable love, joy, delight, completion. You gently realize that YOU are this Reality. YOU were always this Reality. And so is everyone else. Everything you have experienced, everything that you see, everything that has ever happened, has occurred as a dream upon a dream, a temporary painting on Ultimate Reality. "This life may be a dream, but it can be a joyful one." "Celebrate the beautiful things of this world." Daily transformation and instantaneous upliftment, with an emphasis of having 'a direct experience' of your true essence, your pure self in the methods of Robert Adams in exacting this beautiful instruction, A New Reality.